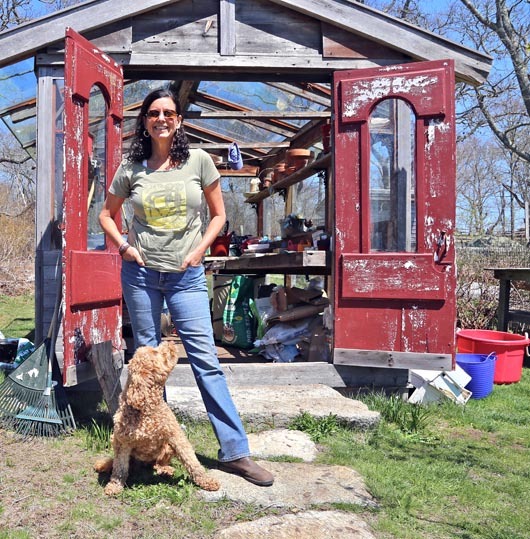 Laurie David's Wise Owl Farm donated 1,600 pounds of sweet potatoes to Vineyard schools. Film producer and environmental advocate Laurie David has a new message: cook or be cooked. To spread that message, Ms. David has embarked on two food-related projects this spring — Fed Up, a documentary she made with longtime news anchor Katie Couric, and a new cookbook, The Family Cooks, that provides tools for families to cook together. 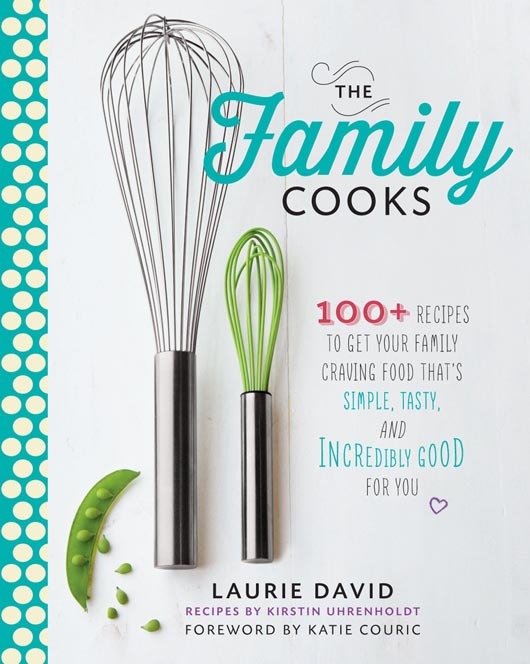 Ms. David's latest cookbook encourages kids and families to cook together. In an interview with the Gazette this month, Ms. David talked about the need to change the conversation around health and food. Previously, she produced An Inconvenient Truth, the documentary with Al Gore that helped catapult the discussion of climate change into the public arena. Ms. David is hoping Fed Up will have a similar spark. Ms. David is the executive producer of the documentary, which was directed by Stephanie Soechtig. The film will be screened on July 23 at the Performing Arts Center at the regional high school with a discussion following the movie with Ms. Couric. “I hope the movie goes a long way in getting an honest conversation going,” she said. The film set out to answer a big question: Why are kids getting so sick? School lunches, nutrition labels and regulating marketing aimed at children are some areas that need improvement, Ms. David said. Small businesses and individuals can also help bring about change. For home cooks, that conversation can start at the windowsill. “If you have a window you can have a nice little pot of herbs and never have to buy those terrible herbs from a supermarket that are closed up into plastic within an inch of their lives,” she said. Ms. David also wanted to provide an easy access solution to get kids and families interested in cooking. A few years ago, Ms. David wrote the Family Dinner with Kristin Unrenholdt, but they felt their work was unfinished. “We wanted to come up with faster recipes with less ingredients and really inspire people to get cooking,” she said. Her new cookbook includes tools for including kids in the kitchen. Ms. David also wanted to pass on family recipes to her two college-age daughters. Her kids were also what inspired her in the first place to take family eating more seriously. One family dinner was particularly inspiring, she said. Ms. David is now helping other kids get started on the healthy path to eating right, and not just through her film and books. 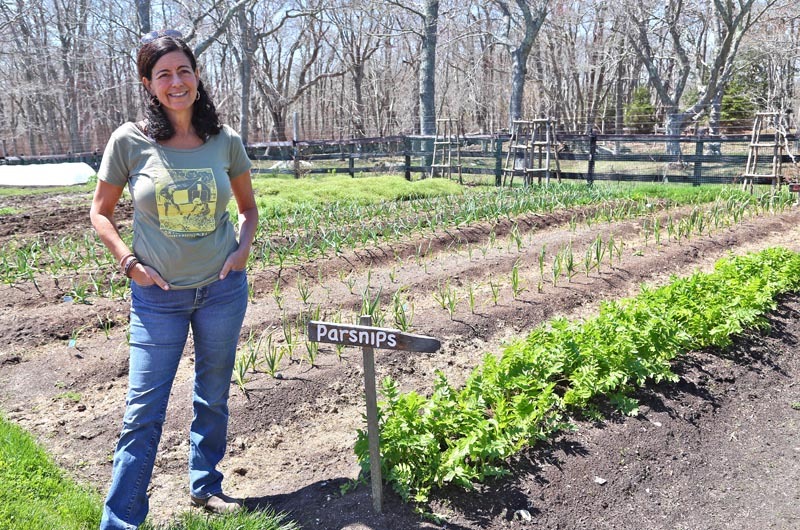 She is growing food, too, at her Wise Owl Farm in Chilmark. Last year she donated 1,600 pounds of sweet potatoes to Vineyard schools and nonprofit groups. Eat chocolate every day. Yup, you read that right. Every day.